Flour Child is a San Francisco-based producer of sustainable cannabis goods, founded in 2015 by Stephany Gocobachi & Akhil Khadse. 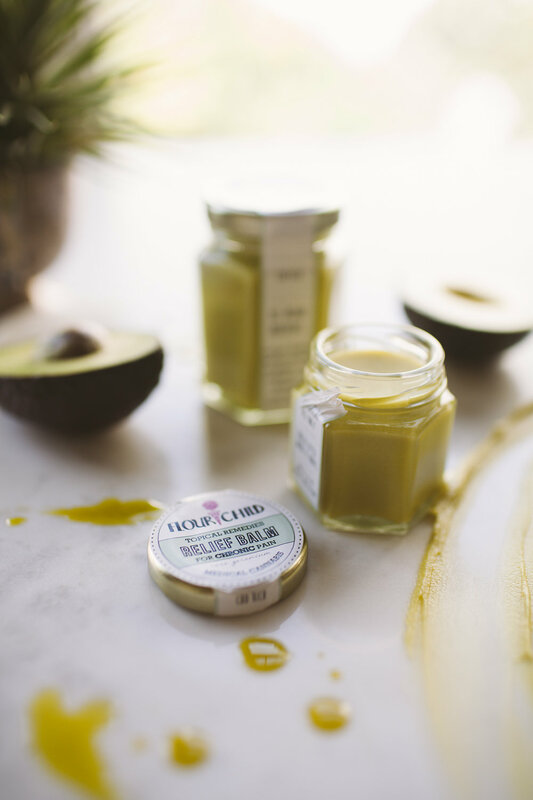 We believe in using only the very best ingredients, from the fruits in our Jam to the cannabis pressed into our Rosin, and are proud to work with a network of small family farms to source the finest organic ingredients in California. All of our products are lab tested to ensure the highest quality. Made with all organic ingredients, our own flower rosin & a mellow, easy-to-measure dosage. Pressed with love from whole flowers cultivated using sustainable practices. CBD-rich, non-psychoactive balms to relieve external aches & pains without a buzz. The times they are a-changin'...especially in the cosmos of California cannabis. Sign up with your email to get product updates, recipes, & inspiration for slow cannabis living from Flour Child. We respect your privacy & appreciate your support.